Raleigh, N.C. (October 16, 2013) — Equality NC Foundation announced today that Charlotte-based Freedom Center for Social Justice (FCSJ) will receive the inaugural 2013 Equality NC Foundation “Organization of the Year” Award. 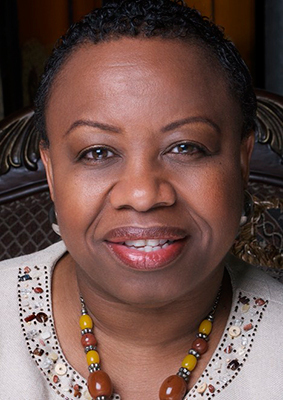 The award will be presented to FCSJ founder and executive director Bishop Tonyia Rawls at the 2013 Equality NC Foundation Gala, November 9, in Greensboro. Equality NC Foundation’s inaugural “Organization of the Year” award recognizes an extraordinary North Carolina organization performing groundbreaking work for Lesbian, Gay, Bisexual, and Transgender citizens. Freedom Center for Social Justice seeks to enhance quality of life by increasing the number of healthy options and opportunities available to low income communities, communities of color, LGBT populations and youth. To honor its broad mission and support these important goals, the Freedom Center for Social Justice has established programs and initiatives that help create true cultural change within communities, businesses, organizations and institutions that serve and connect marginalized communities, including The Transgender Employment Program, The Transgender Faith and Action Network and most recently The LGBTQ Law Center. As a Southern-based organization, Freedom Center for Social Justice is a rising star on the national stage, providing invaluable education on issues of employment, healthcare, and law at the intersections of poverty, people of color, immigrant communities and excluded and marginalized sexual minorities. The Jamie Kirk Hahn Ally Award is lasting tribute to a hero of Equality taken too soon. This inaugural acknowledgement of Jamie's extraordinary pro-equality work, named posthumously in her honor, is awarded to a North Carolina LGBT ally for the ages.